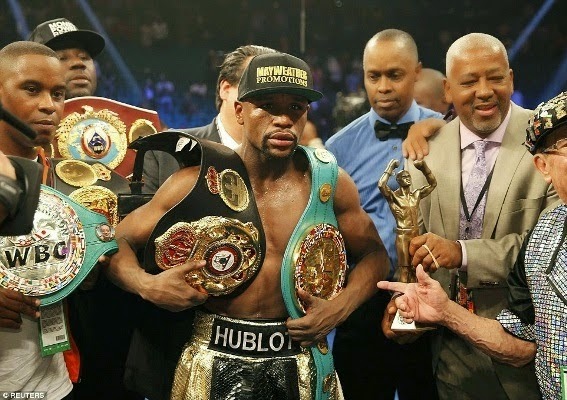 After 12 rounds of boxing, Floyd Mayweather defeated Manny Pacquiao by unanimous decision. This is the scores by 3 judges and all went to Floyd Mayweather. 118-110 ,116-112, 116-112. The big numbers 118, 116 and 116 are for Floyd and small numbers 110, 112 and 112 are for Pacquiao. Mayweather danced a lot around the ring, threw punches and jabs here and there that counted, Pacquiao kept running around, chasing him but didn’t land as many punches as Mayweather. However, Pacquiao thought he had won the fight and says he was surprised when that wasn’t the case. Mark Wahlberg’s wife Rhea Durham was trash-talking Floyd Mayweatheron Twitter long after Saturday night’s fight was over. “Pacman is the true champion inside and out! !,” was one tweet. “I have an idea! Maywether should pursue a career in track! Since all he can do is run,” was another. Wahlberg lost big money when Mayweather was named champion of the welterweight title. Last month, the actor bet P. Diddy $250,000 that Manny Pacquiao would prevail. 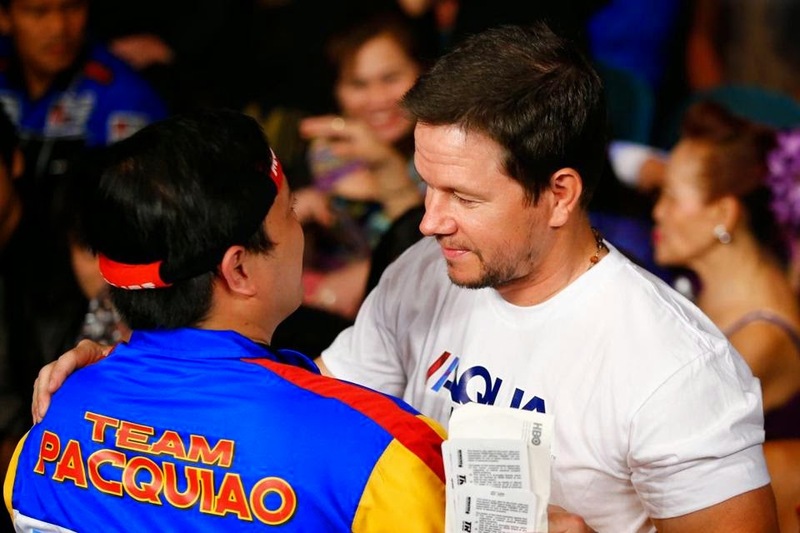 Wahlberg had said that if he won the bet, he’d give the money to charity. Other locals at the fight included Tom Brady, Julian Edelman, and Rob Gronkowski, who’d come straight from the Kentucky Derby (Brady sat ringside with Bob Kraft, while Edelman and Gronk’s seats were a bit farther from the action). Also there was Ben Affleck, who was one of three Batmans at the MGM Grand (Christian Bale, and Michael Keaton were in the house for the big event).